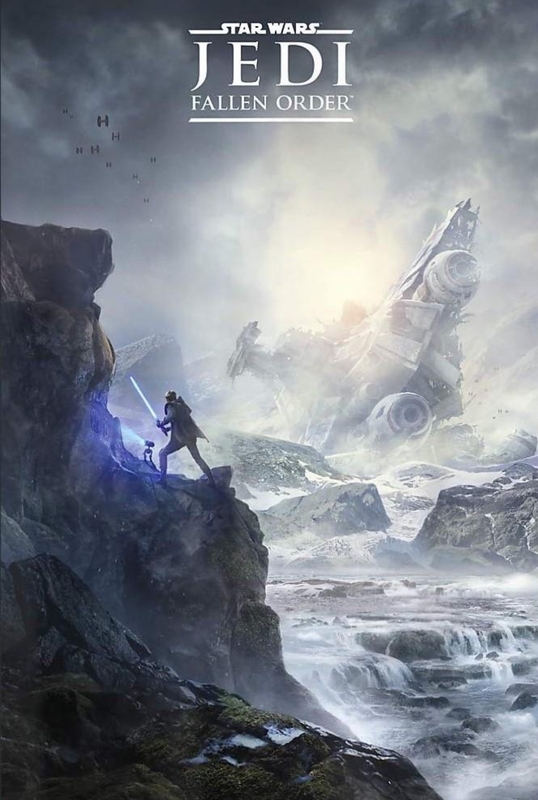 The very first Star Wars Jedi: Fallen Order posted has surfaced online showing off a Jedi and his droid at a snow-covered planet looking at a crashed spacecraft. Apart from the Jedi (or Padawan) and droid, a host of Tie Fighters can also be seen roaming the sky. Respawn’s Star Wars Jedi: Fallen Order is slated for a holiday 2019 release on Xbox One, PlayStation 4 and PC. More about the action-adventure will be revealed tomorrow at 1:30 P.M. Central Time during the Jedi: Fallen Order panel at the Star Wars Celebration. The game was officially announced at E3 2018 and is set in the shortly after the events of Star Wars:Episode III – Revenge of the Sith. Earlier this week we already covered a new tease for the game that surfaced following the Star Wars celebration.